Kingfisher Bay Resort on World Heritage listed Fraser Island successfully snuggles into the spectacular and unique landscape. The resort not only provides the best stop to rest your weary head each night after an action-packed day exploring the island, it is also the jump off point for some amazing experiences and tours. Think of it as a very big natural theme park. A Humpback comes for a closer look! 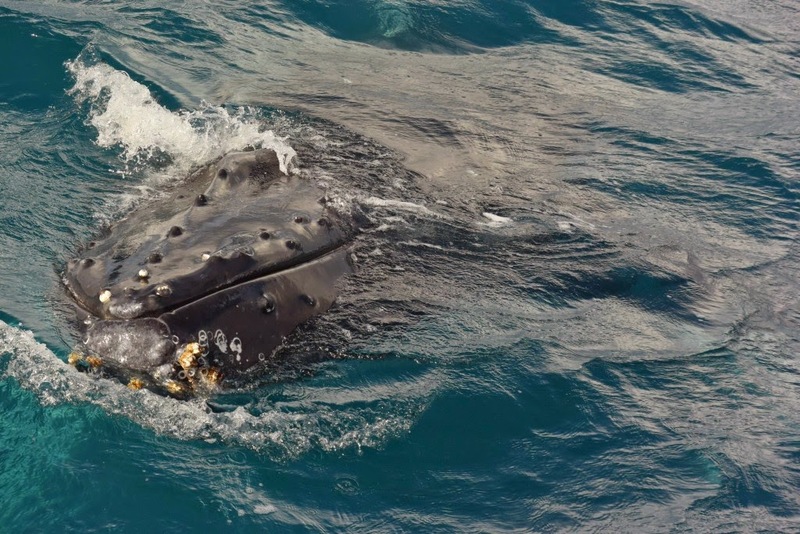 This time of year Fraser is a major pit stop on the Humpback Super Highway; here off the island’s north west coast, in the Hervey Bay Marine Park is where these inquisitive giants come to rest and play with their calves on their annual migration. 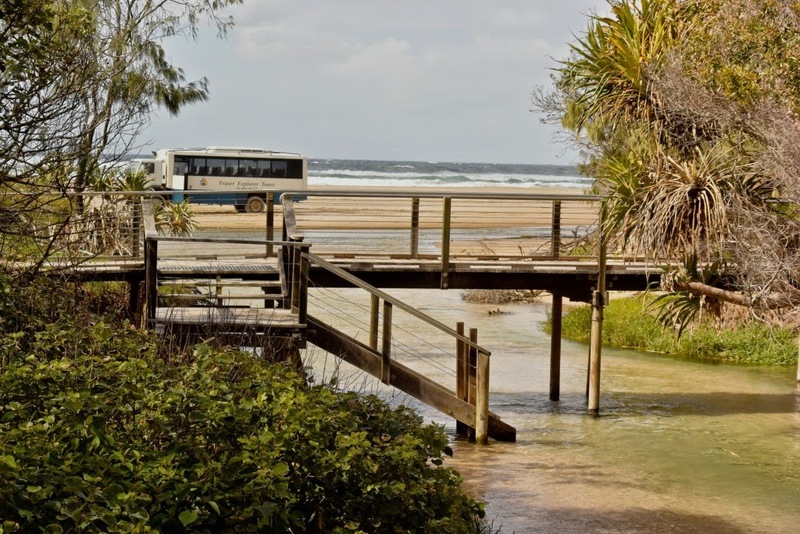 The Quick Catt II departs the resort (western side of Fraser Island) daily until October 31 for tours you will never forget. Sometimes the whales show off up so close to the boat you start to wonder who’s observing who. They roll over, fin slap and if you’re really lucky you might witness the spectacle of a full breach. Now you can also swim with these majestic creatures as an upgrade to the ½ day whale watching experience. The lucky few who have already taken the swim say they were amazed at how inquisitive and playful these gentle giants were. ‘Whale Watching 2.0′ new swimming experience takes place under very controlled conditions and there must be calm waters, good visibility and inquisitive whales must be surface active with no breaching or tail slapping. (This experience can only be booked on the day). Kingfisher Bay Resort is also the starting point for the full-day Beauty Spots 4WD Tour by Fraser Explorer Tours. Knowledgeable guides take you on rough, sandy tracks on air-conditioned 4WD buses across the island to see some of Fraser’s most beautiful natural attractions. Seventy-Five Mile beach is a breathtaking stretch of ultra-white sand on the eastern side of the island with aquamarine water and big skies. The beach is where the invisible waters of Eli Creek meet the Pacific. The tour stops long enough for a leisurely swim in waters so impossibly clear you can only detect them by the sound of the gentle current. The rusting hulk of The SS Maheno shipwreck makes for great pictures against the bluest of skies, turquoise ocean and blindingly white sand. Other stops include the Stonetool Sand Blow and Central Station – the site of the earliest tree felling community. Lake McKenzie is a 1200 metre long rainwater fed lake with water so pure it sustains very few species. The sand is nearly pure silica and so white it highlights the clear waters.Pile Valley’s forests of enormous Satinay trees are home to an abundant wildlife and the 30-minute walk is suitable for most fitness levels. Seventy Five Mile beach also doubles as an airstrip for spectacular scenic flights by Air Fraser Island. This is 15 minutes of sheer exhilaration as you fly over formidable rainforest, pristine rainwater fed lakes with the bonus of a thrilling beach take-off and landing. 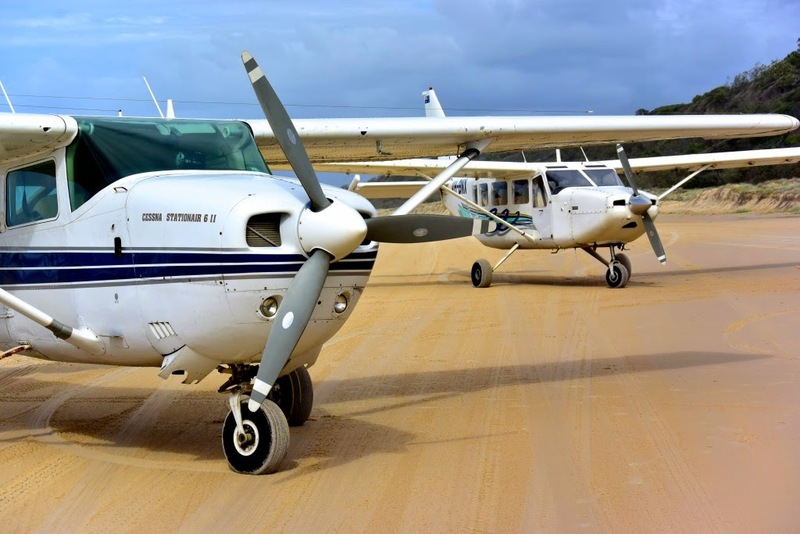 (The beach airstrip is one of only two certified in the world). You can take the joy flight as an optional extra during the Beauty spots Tour. This 45-minute exploration of bush tucker is for foodies and non-foodies alike. rosellas, lillypilly, quandongs, wild limes and more. Meanwhile chef cooks up marinated and barbecued crocodile, kangaroo and emu. 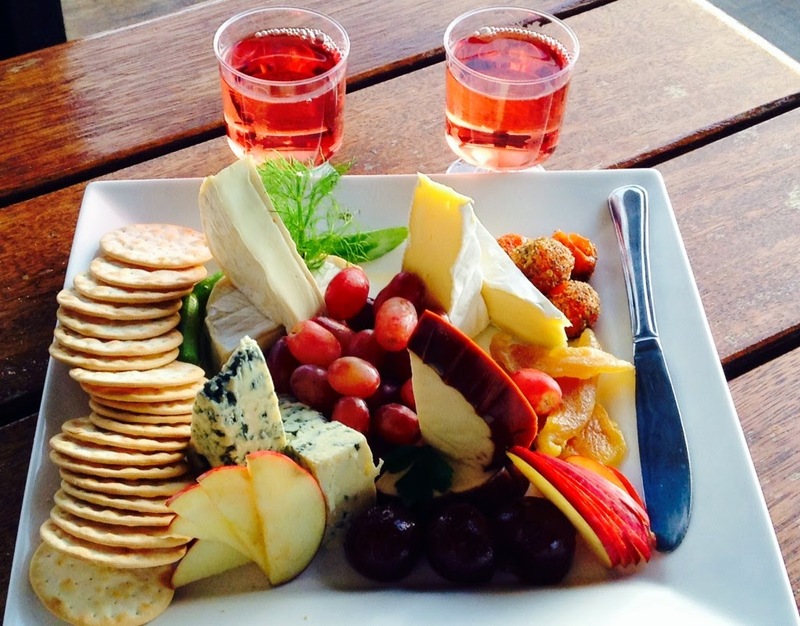 Every afternoon at the Jetty Hut you can enjoy a spectacular sunset overlooking the Sandy Strait with a tipple of choice and a cheese, antipasto or prawn platter. This is the perfect opportunity to sit with your significant other and simply take in the uninterrupted panorama of the calm waters. Like all activities on Fraser Island the photo opps are endless. 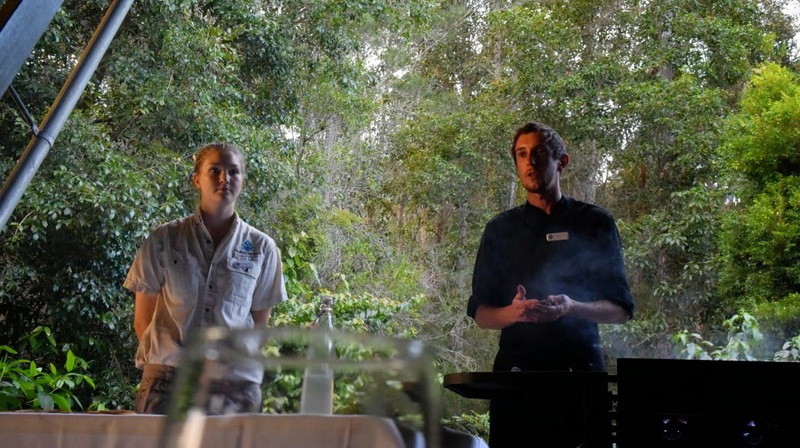 Of course, there is so much more to do at Kingfisher Bay Resort and on Fraser Island including guided canoe paddles, free ranger guided walks, Champagne Pool day tour and Segway sessions. Every day the resort offers an endless variety of ways to explore and understand this irreplaceable island. All you have to do is make the most of it. This Magnificent Life travelled as guests of The Kingfisher Bay Resort Group; travelled with Fraser Island Barges and aboard a Beauty Spots Tour and half-day whale watching cruise from their base at Kingfisher Bay Resort.